This kurta and sharara set from the house of Libas will make you look fantastic for any casual occasion. 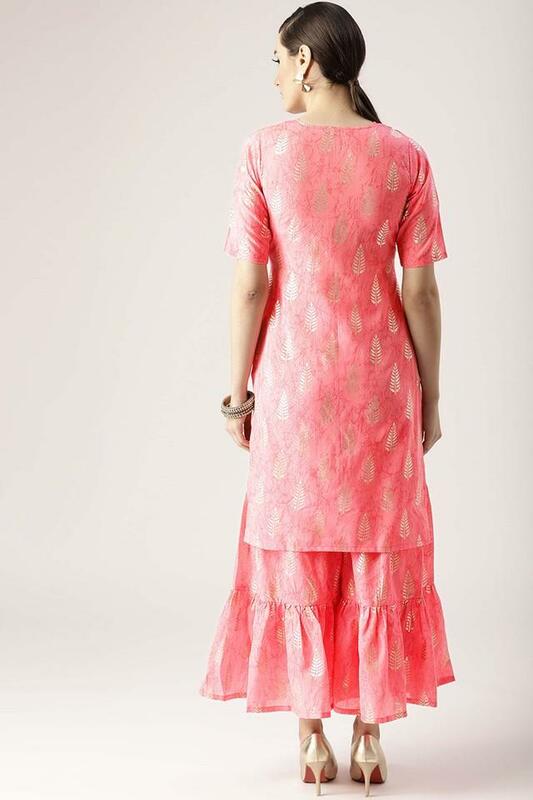 The kurta has a beautiful printed pattern, key hole neck and half sleeves, which is the main attraction. Besides, the use of cotton fabric in its making ensures sheer comfort and a luxury feel. Look elegant by wearing this kurta and sharara set for any casual occasion. You can style it up with a pair of heeled sandals and carry a sling bag to make an appearance worth noticing.